I’ve been avoiding my blog. I’ve been avoiding writing about the race season and trying to make sense of all of the ups and the downs. 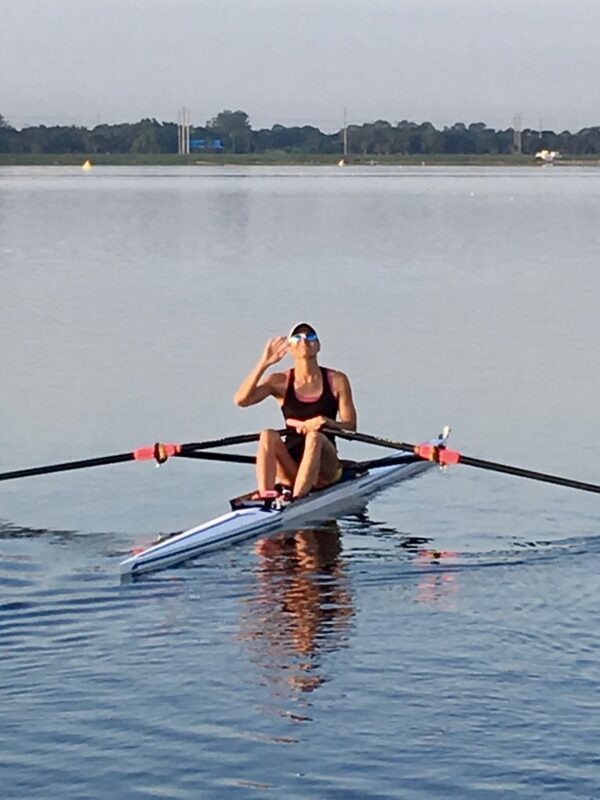 Last year, I had a clear plan with the end goal of racing at the World Championships in the lightweight women’s quad and I executed – one regatta, one selection process, one seat race, one stroke at a time. This year, the end goal was the same but the path and the plan were less clear. Perhaps that’s the real reason I’ve been struggling to write. I want to make sense of the season and can’t. Notes: 1) NEVER race to survive! Come to the think of it, that doesn’t even make sense. Racing in sport and survival are mutually exclusive in every sense of the term. 2) Protect your headspace. 3) Stay focused on YOUR boat… YOUR racing… YOUR plan. It was one of the most lopsided finals in the history of the Australian Open. This is why athletes, if they want to survive, have to have a short memory. It’s important to remember, but it’s important to forget. When you lose a close match, you learn what you can and remember what you’ve learned. When you lose like I did at the Australian Open that year, it’s best just to forget. After NSR 1, my coach and I decided that I would head south for a training block in May. The idea was to gain some early season traction in the quad and also to simply put in some good work with the training group in Sarasota. There were a few days that I struggled with the heat – I was sweating way more quickly than I was used to – but overall it was a fun and productive four weeks. Last day of practice at Benderson in May. Waving to the cameraman (i.e., Kyle) on shore! In June, I returned home strong and prepared to build on the work but it’s at that point that what I half-seriously want to call chaos ensued. People were coming and going, and the overall direction wasn’t clear. 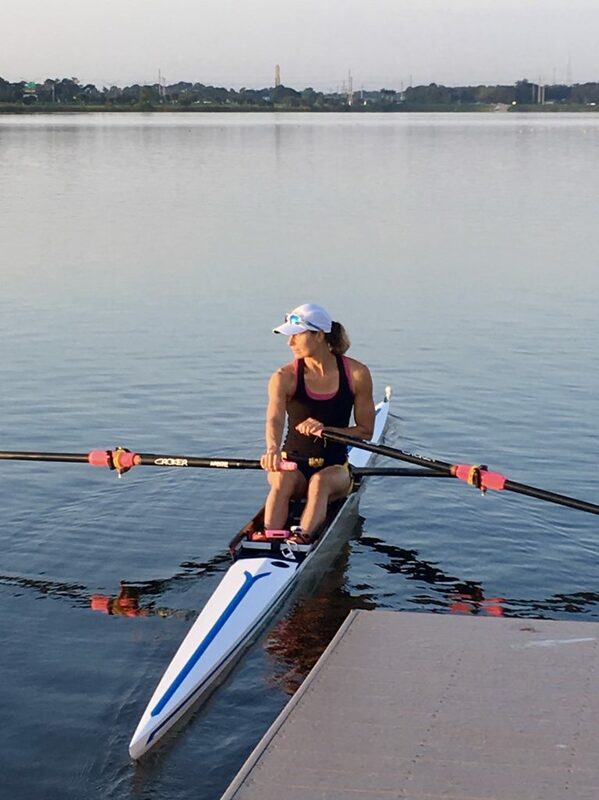 I raced the summer club circuit, which was completely unplanned, and tried to balance time in the quad with preparing to race the single at Trials 1 in July. I have pictures with medals and smiles, and had lots of great trips down the racecourse. But the pictures don’t tell the whole story: What I originally set my sights on for the year – a second opportunity to compete at World Championships in the quad – fell through. How do I best sum up the weeks in June and early July? Feeling pretty good about a win in the quad at Club Nationals! The Senior Women’s Quad Final at Club Nationals. We raced strong and aggressive, and I was at home making calls from the two-seat. I think we surprised ourselves when we shot into first and then dominated right from the start. The win was gratifying, for sure. But the race stands out because it was fun, in the pure, simple sense of the word, to come together on a hot summer night and throw down a piece with no real pressure to perform. Getting ready to launch at Trials 1. 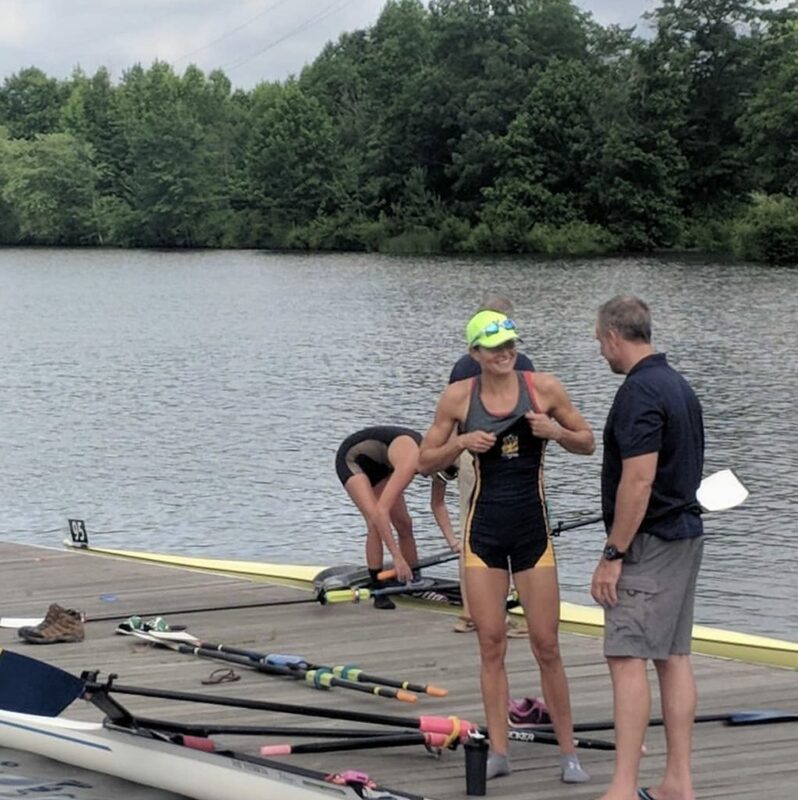 Trials 1: This wasn’t a personal focus and I’m compelled to give it attention because it was an “important” regatta relative to everything else I competed in this year. On day one, the time trial was unremarkable. I finished 7th in a field of twelve. I had a pretty dismal feeling coming into the dock after cool down and wasn’t surprised when my coach told me the result. I don’t really know what was going on that day. My legs felt good and I remember thinking I was ready to go. But I’ve been struggling with time trials all year and Trials 1 proved the same. On day two, I placed second in the heat and accomplished the goal of advancing to the semifinals. I didn’t get off the line well and there were some definite soft spots in the race. But I felt good about the overall work. I moved into second fairly early and felt in control down the length of the course. More importantly, I came off the water knowing there was more in the tank, which was a good feeling going into the next day. On day three, the headwind was strong. It picked up right before my semifinal and relentlessly increased as the morning progressed. Similar to the heat, top two advanced to a four-boat final. I finished third and never even factored into the race. I wish I could say that something went wrong (well, actually I wish I could say that I crushed it! ), but the reality is that it was just bad racing on my part. And with that, my regatta was done. Control the controllables. If I could pick one word to characterize June and early July it would be uncertainty. And for me, it was harder this year than most to stay internal and focused on what I could control. There are reasons for this. As much as I wanted to forget NSR 1 a la Sharapova, I was very much missing the security that accompanies a strong early season result in the single. I also lacked personal clarity and conviction, and was again way too open to external influence and noise. So, what the heck happened with the quad? But selection never happened. 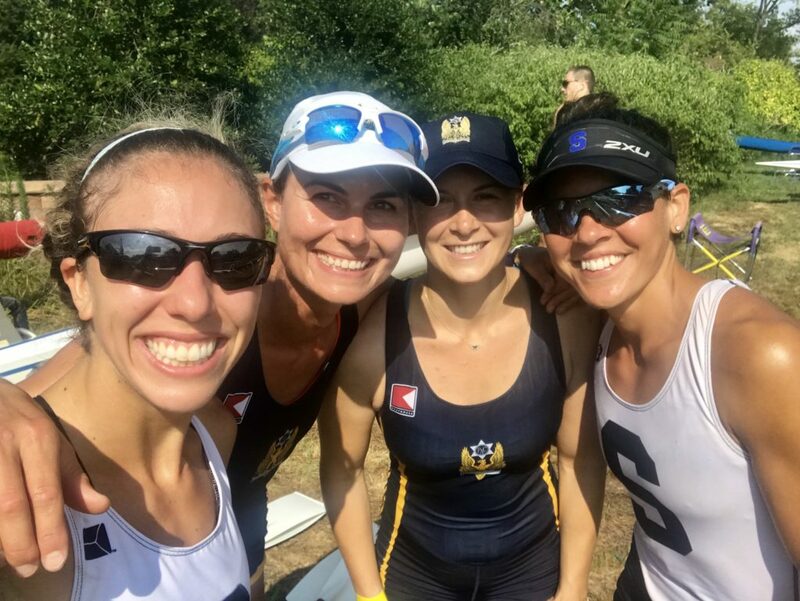 Three days after the end of Trials 1 I learned that an athlete decided to pull together a group with three additional women to form a quad for Trials 2. There would be no selection and no one including me was interested in forming a second quad to contest. And so… we moved on. End of the Season: O Canada! Me and Jess on the medals dock after winning the senior lightweight 2x. 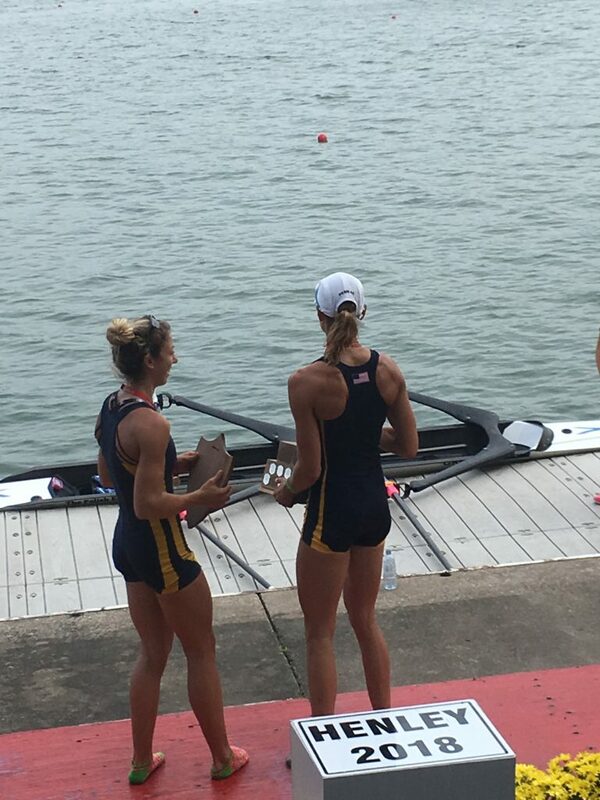 Jess and I won the Senior Women’s Lightweight 2x and there’s no doubt that it was fun and exciting and something I’m happy we accomplished. We trained hard all summer and worked through a mentally taxing year. But the “this” that I’m talking about… I think I just know I had more—more that I wanted to get from my body and more that I wanted to give. That’s not a good feeling at the end of a year. But it’s also not bad. Because that feeling, that awful, beautiful, messy, unsettled feeling I have even now as I write, it’s exciting! It’s motivation. It’s trust. It’s confidence. It’s knowing. It’s peace. I started this post by saying that I’ve been avoiding my blog, which is true. I’ve also been in desperate need of inspiration. Earlier this month, I got that much-needed dose of inspiration when I read a blog post by marathon runner Sara Hall. Much of this season felt like a storm. And I failed to sleep through much of the storm. Stability is important for success in sport and for general sanity in life! Patience and trust are too. I took some important steps forward this year. I put in the work and banked progress, and while it didn’t show up on the racecourse or yield the exact outcome I sought, I know that the work will serve me in time. I choose peace. I am now better prepared to sleep (and stay focused!) through storms. Great post Cara! So many people can relate to this, thanks for sharing! Well said Cara-Mia..! Love the scripture referenced by Sara Hall’s Pastor! 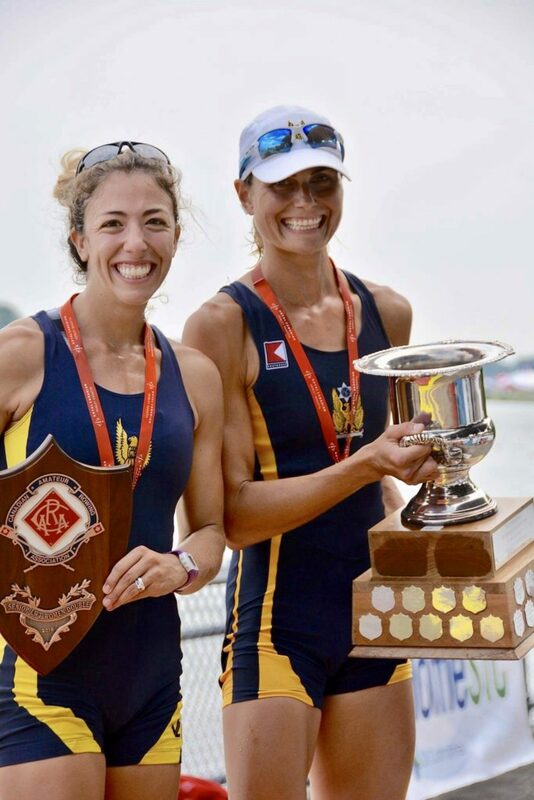 Congrats to you and Jess on winning the Gold in the Senior Women’s Lwt 2x at the 2018 Canadian Henley! Thank you! Not a bad way to end the season!! The work will indeed serve you in time! First, I know how much you had to process just to get to the point of writing this blog – which as others have commented – is therapeutic for you and will no doubt help other competitors who know what it’s like to give their all. Since you are “in it” it’s hard to see that those of us on the outside are so impressed by your willingness to put it all on the line – knowing that the results are always uncertain. Continue to be an inspiration and continue to blog – we love it when you share!